Updates from Fr. Frantzdy Joseph, c.s.c. Thank you very much for caring. This is a proof that we are not alone and you’re praying for us at Good Shepherd parish. Thank you from the bottom of my heart. By the way, the actual political situation of the country is worsening everyday. The country is locked. Roads are blocked everywhere. It’s difficult for us. The inflation worsened too. In Pilate, we don’t have too much violence like it is in some other parts of the country. Our schools are still working, but some children don’t come to school because their parents are afraid for their safety. We cannot have computer classes because there’s no fuel (diesel) in the country in these times to fill our car and the generator. To avoid this same situation in a next time, I wonder if it will not be possible for you to help us installing an energy system for the parish and the school as they did in Saint Albert the Great parish? Which will be very helpful. All the gas stations are closed. I cannot go out of Pilate to buy food for the rectory and for the orphanage and we don’t find everything to cook in Pilate. You can imagine how bad it is to live. Please keep on praying for us and for Haiti. Do not travel to Haiti due to crime and civil unrest. There are currently widespread, violent, and unpredictable demonstrations in Port-au-Prince and elsewhere in Haiti. Due to these demonstrations, on February 14, 2019, the Department of State ordered the departure of all non-emergency U.S. personnel and their family members. The U.S. government has limited ability to provide emergency services to U.S. citizens in Haiti. Protests, tire burning, and road blockages are frequent and unpredictable. Violent crime, such as armed robbery, is common. Local police may lack the resources to respond effectively to serious criminal incidents, and emergency response, including ambulance service, is limited or non-existent. Travelers are sometimes targeted, followed, and violently attacked and robbed shortly after leaving the Port-au-Prince international airport. The U.S. Embassy requires its personnel to use official transportation to and from the airport, and it takes steps to detect surveillance and deter criminal attacks during these transports. Visiting certain parts of the city at any time without prior approval and special security measures in place. Avoid demonstrations. Do not attempt to drive through roadblocks. Be careful about providing your destination address in Haiti. Do not provide personal information to unauthorized individuals located in the immigration, customs, or other areas inside or near any airports in Haiti. As you leave the airport, make sure you are not being followed. If you notice you are being followed, drive to the nearest police station immediately. Review information on Travel to High-Risk Areas. Review the Overseas Security Advisory Council report on Haiti. 1. The proceeds from 1 bingo – Tuesday, April 30 – Please plan to attend and support this event. 5. Please note that if we are unable to continue the Fall Festival booth, the parish will NOT cover the lost profits from this fundraiser. I have contacted the Catholic Center to ask if we could hold the Rummage Sale there. They did offer the gym in July. I feel there are several problems with this date. 2. Many Good Shepherd families could be on vacation since this would be just a few weeks before school resumes in August. 3. When the rummage sale was held in April, Good Shepherd students assisted us. This was organized by one of the teachers. I don’t feel we would have much student help in July since school would not be in session. 4. This would be about one month before we begin preparing food for the Fall Festival. 5. Many of the same people would be working on the social, rummage sale, and fall festival. I fear we would burn out our volunteer base attempting to do so many fundraisers so close together. Since the parish is being so generous with the bingo and budget, and with the issues I have outlined above, I am suggesting we not hold the rummage sale at this time. Let me hear your thoughts. Update – November 19, 2019: All members have agreed to drop the rummage sale this year. We have formed subcommittees to work on the Fall Festival booth and all will meet on Saturday, March 16 at 9 a.m. in the church conference room. Murphy from Memorial (Fr. Zach Etienne) and Student Coordinator, Chad Breeden from Mater Dei (Fr. I want to thank you for everything, especially for this last good news. In this sense, I want to let you know that I received the money that was transferred to the parish account last Thursday 17. Thanks to all the people good people in Good Shepherd Parish! May God bless you! 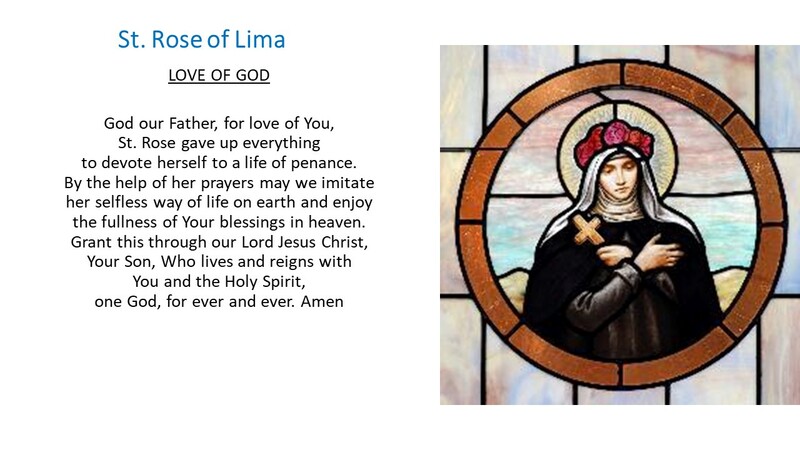 Dear Brothers and Sisters at Good Shepherd Catholic Parish in Evansville, IN. The twinning program is probably new to many of you. 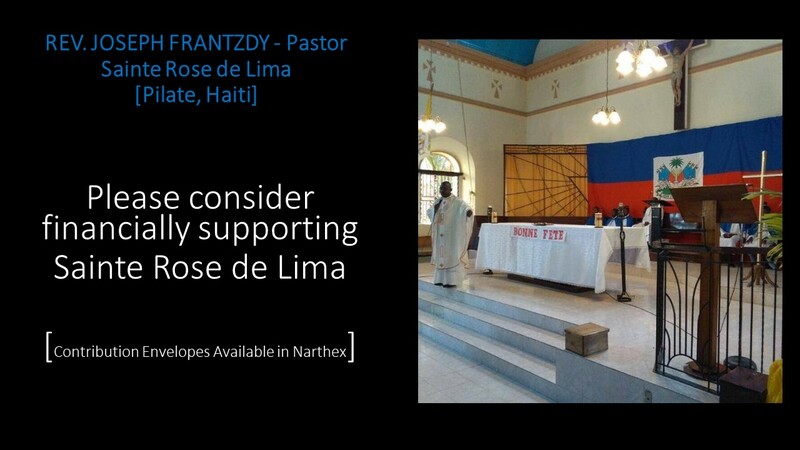 I have decided, as the parish pastor of St. Rose of Lima, to write and give you an idea of your sister parish in Pilate, Haiti. We are located in Northern Haiti. St. Rose is a large parish with about 5,000 members. In addition to the main church, there are 5 additional chapels located in more remote areas. Each month, I will send a note updating you on our blessings and challenges. May God bless you for your generosity. In the early 1980s, St Theresa Catholic Parish in Evansville, Indiana adopted a Haitian parish through the Parish Twinning Program of the Americas. In 2012, St. Theresa parishioner Mary Beth Davis and her two daughters visited that sister parish, St Rose of Lima, in Pilate Haiti, and its pastor, Father Snell Nord. The Davis family also reconnected with their old friend Sister Lucie Laquerre, at Hospital L’Esperance (Hope Hospital) which services Pilate and where Sister Lucie has worked as a nurse for 40 years. The highlights of Mary Beth’s trip are being made into a documentary that will cover such topics as Pilate’s school, hospital, reforestation program, methane-gas pilot project, parish life, and more. Until that film, Snapshots of Pilate, is completed, this video will provide viewers with an overview of Mary Beth’s tour of Pilate. In the meantime, many sponsorship opportunities are available for those wishing to contribute to the worthwhile services being provided to Haiti’s.